Texas Alcohol and Drug Testing Service, Inc. utilizes the services of Quest Diagnostics to perform Steroid and Athletic Drug Testing. 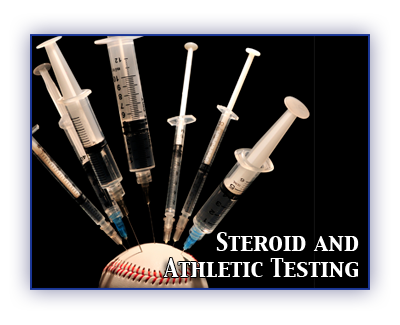 Over the past decade, anabolic steroid abuse and the use of other performance-enhancing drugs has become a national concern. Androgenic-anabolic steroids and other performance-enhancing drugs are banned by major amateur and professional sports authorities. They are classified as Schedule III controlled substances in the United States. Employer Solutions’ steroid testing detects more than 20 different anabolic agents (and their metabolites) commonly used by bodybuilders, distance runners and other athletes. These steroid panels also include testing for masking agents (e.g., probenecid, a marginally effective drug used for blocking the urinary excretion of some steroids). In addition, our comprehensive sports testing panels test for other performance-enhancing drugs, including stimulants, narcotics, beta-blockers and diuretics, that may be abused by athletes. These panels utilize gas chromatography/mass spectrometry (GC/MS) technology for drug identification and confirmation. Need Adobe Reader? Click this here.